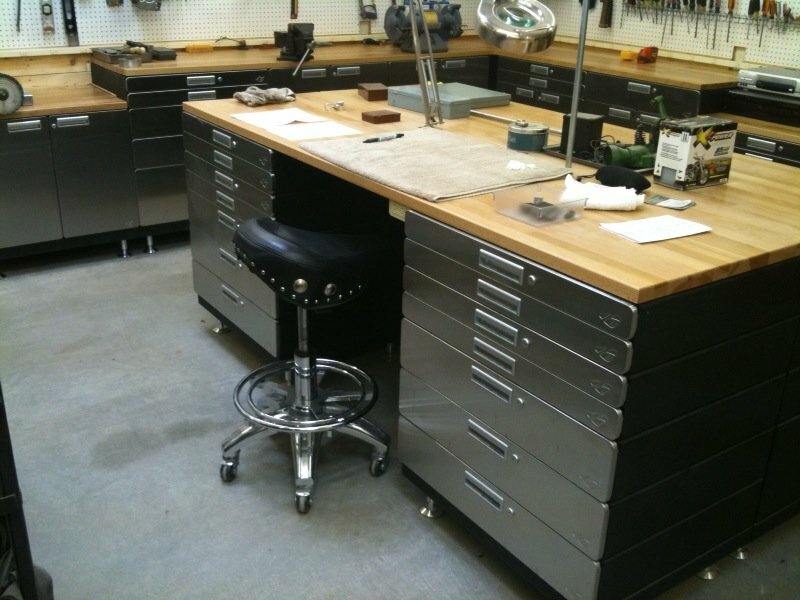 Steel Construction | Stainless Steel Option | Customized Cabinet Configuration Hercke garage storage cabinets assemble in minutes and rearranges with ease. 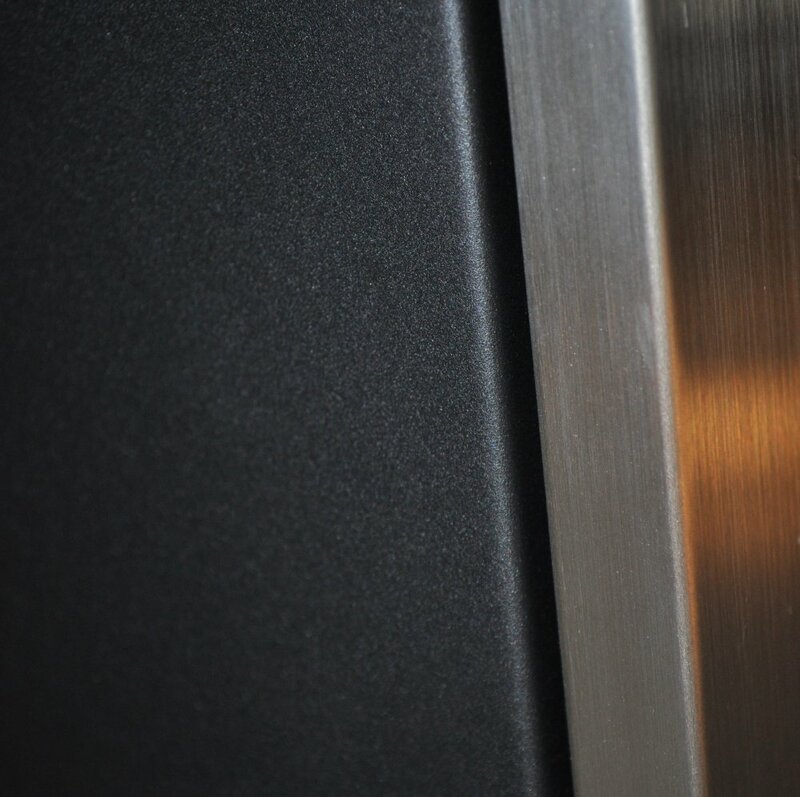 Our cabinets are made of steel, 7.2 Model has stainless steel cabinet facings and black powder coated steel frame. 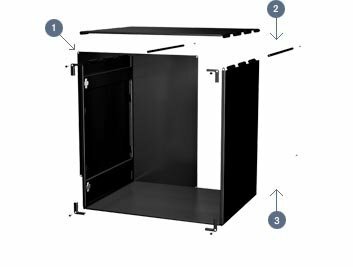 7.3 has powder coated silver cabinet facings, and black powder coated steel frame, and the dark grey facing is now available. Design your own configuration of Hercke Cabinets by stacking and putting together drawers or cabinets to fit your needs. The Drawers, Lower Cabinets and Upper Cabinets stack and connect together to make the perfect work station or storage system. Prices include Free Ground Delivery. Durable 18-19 Guage Steel | Assembles in minutes, only one phillips screwdriver and an innovative hinge application make it a simple snap | Self Closing Gas Glide Drawers | All Drawers and Cabinets have matching locks | Lifetime Warranty! Hercke Extra Cabinet Shelves 12"
Hercke Extra Cabinet Shelves 24"
Hercke garage storage cabinets assemble in minutes and rearranges with ease. This system is designed for easy do it yourself assembly with only a single screw driver, and eight screws. The stackable systems allow you to create each section to meet your personal needs choosing from drawers, cabinets, wall systems, or complete cabinet combinations. Purchase exactly what you need from a rolling set of drawers, or several storage cabinets to en entire set. The two available models are made of steel, 7.2 model with stainless steel cabinet facings and black powder coated steel frame, and the 7.3 model with powder coated chrome color cabinet facings, and black powder coated steel frame. Both models durable, attractive, and affordable. 1. Hinge Cylinders, match up and secure with steel hinge rods. 2. Steel Hinge Rods, Slip into cylinders. Hercke goes together in quickly and easily without a fuss and rearranges without a second thought. Our product does not need to be bolted in place. Assembles in minutes. One Phillips screwdriver and an innovative hinge application make it a simple snap. Self Closing Gas Glide Drawers. 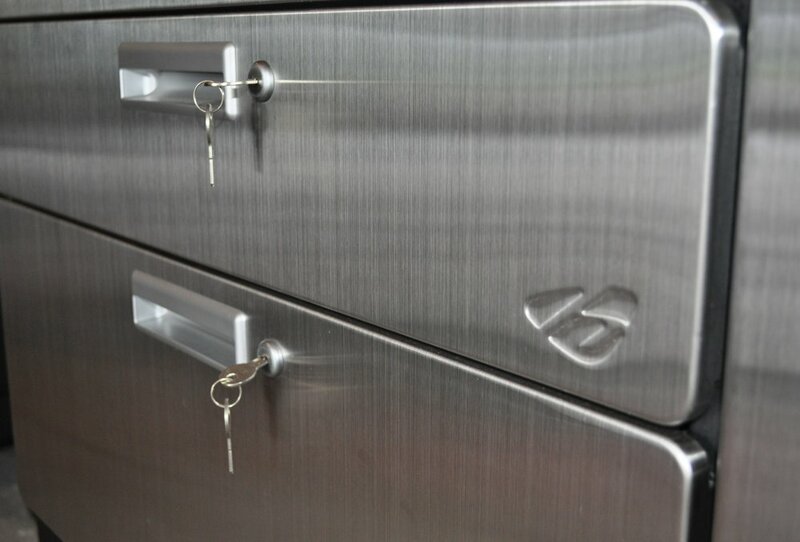 All Drawers and Cabinets Have Locks.